Learning about the order of adjectives is an important part of improving writing skills. 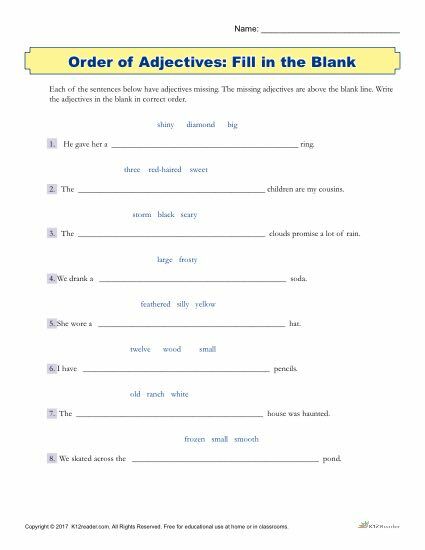 With this printable parts of speech activity, students will read through a series of sentences and be asked to fill in the blanks with the given adjectives in their correct order. This helpful worksheet is easy to print, making it perfect for both at home and in the classroom.